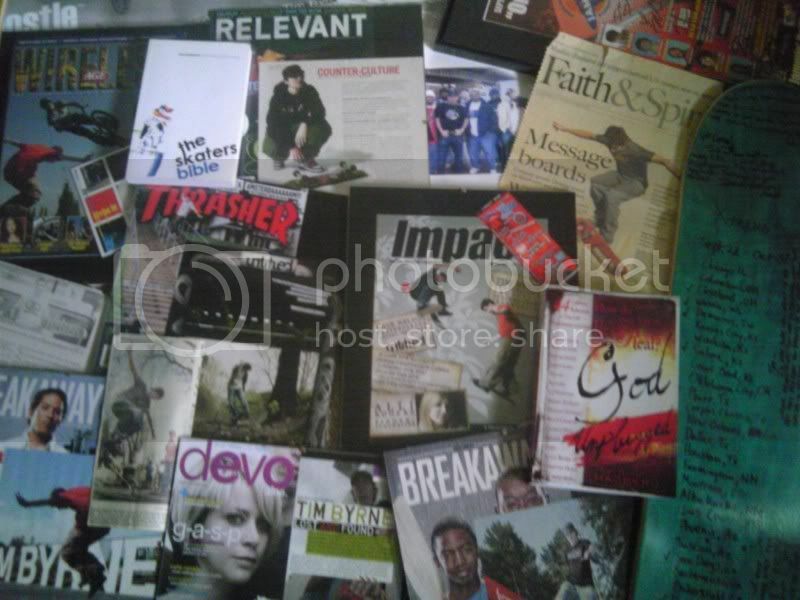 These are just some of the magazines and books that I was featured in over the years since 2000. I’ve had the opportunity to share the good news of Jesus through my skateboarding for quite some time now and it’s taken me to some amazing places. I celebrate knowing the Lord Jesus 10 years this month. 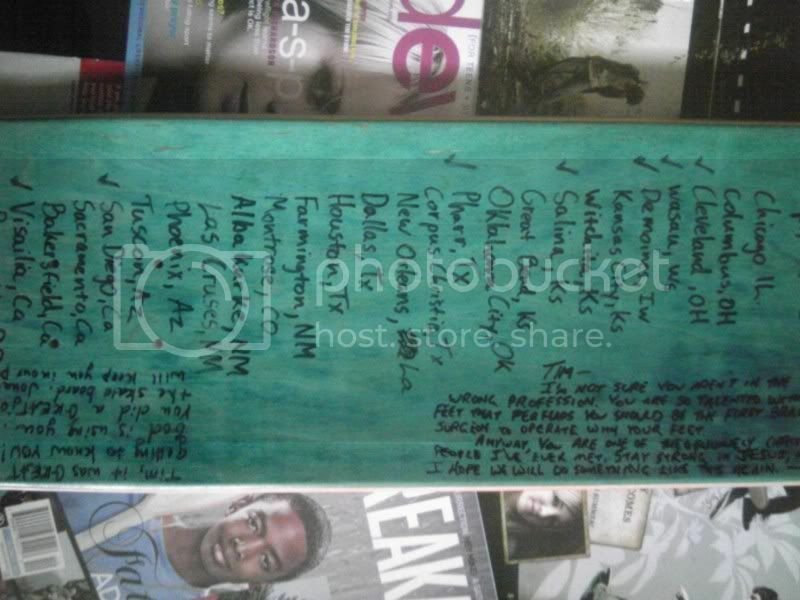 This other pic is of my personal tour board that I wrote all our travel dates on. This was a huge deal, being a small town kid from Rolla, MO, being able to travel the country getting treated like a rock star (which was really weird being a new Christian). The tour was called The Extreme Days Tour and it ran from September to November in 2000. I was just a few months old in the Lord when God opened this door and my ministry began. The bands featured were Pax 217, Beanbag, MG the Visionary and K J 52. I don’t think these bands are even around anymore. I still see K J 52 every once in a while though. I look back on this stuff as if it was only yesterday. I’m stoked that God chooses to use us for His glory.